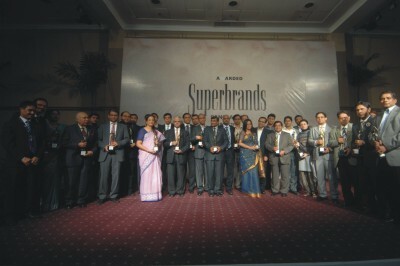 Superbrands, the UK-based independent authority on branding, has recently organised the first ever 'Superbrands Tribute Event' in Bangladesh, says a statement. The event was designed at Dhaka Sheraton Hotel to award Bangladesh's inaugural Superbrands and unveil its first publication for Bangladesh. The Superbrands Bangladesh Book captures a double page story on each of the 29 member brands from Bangladesh and articles from global and local experts. Nazia Andaleeb Preema, a prominent artist, designed its cover page, which depicts Bangladesh as a land of prosperity and opportunity. Superbrands selected the brands from various segments, like consumer brands, business brands, industrial brands, and youth brands. The tribute event started with a welcome speech from Superbrands Bangladesh Council Chairman Mushtaque Ahmed. Superbrands Marketing Manager Mohammad Wasfi Tamim gave a presentation on brands, while Superbrands CEO for Sri Lanka, Bangladesh and Maldives Ruchi Gunewardene discussed 'brand equity in South Asia'. Superbrands started its journey in 1994 in London and it has been publishing a prestigious series of books, which identify and pay tribute to the strongest brands in the world. Currently it has operations in 61 countries around the world.